I was itching to make something simple and cute for Christmas, so pulled these mini, round sugar cookies from the freezer to make some "gingerbread" cookie pops! They were inspired by these Oreo pops from Laura's Bakery, that I originally found on Pinterest, but mine are a little different due to the cookie, the size, and the fact that all of the decorations are done with sprinkles, except for the smiles, which are royal icing. The cookies are only 1.5-inches. I added the cookie sticks with royal icing to the backs of the cookies. I usually insert the sticks into the cookie (dough) before baking, but I retrieved these from the freezer, already baked. The cookies are iced with tinted (chocolate brown gel) royal icing and a #2 tip. While the icing was still wet, I used tweezers (used solely for this purpose) to add all of the sprinkles, with the exception of the smile/cheeks, which were added after the brown had dried for a bit. The pink cheeks adhered to the smile easily while the royal icing was still wet. That's all there is to it, and I think these ginger kids turned out pretty cute! Oh my gosh! Your cookies are adorable! Thank you so much for sharing them with us! 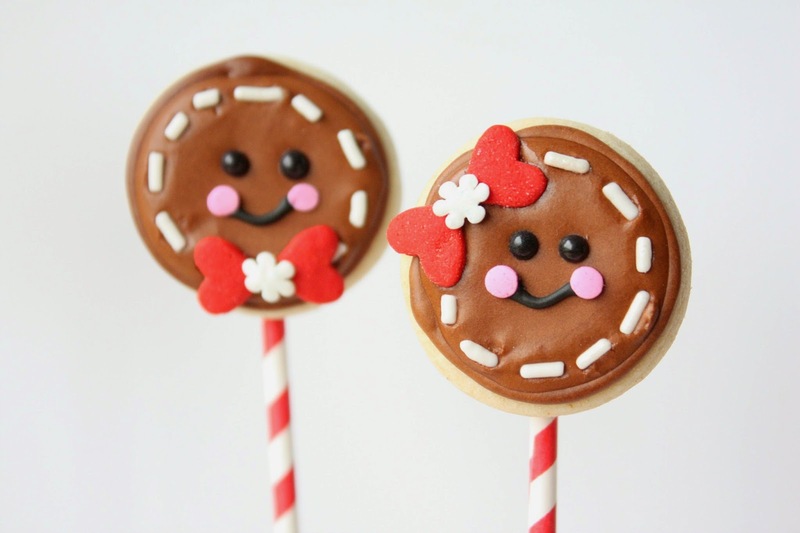 Sue - I can't believe how cute these little cookies are, their little bows are adorable!!! Oh, how sweet. These cookies are absolutely adorable. Oh man another winner! These are a MUST do for the holidays! They are so adorable Sue! I love the use of the sprinkles. I had to do a double take on the bow on their cute little heads. Always adorable!! These are too cute for words! These might just be among my favorites of your cookies....beautiful photography too! I know it's been a couple of years (by the date of your OP) but do you remember where you got those cute little treat bags in the pic? I'd like to try and find them! 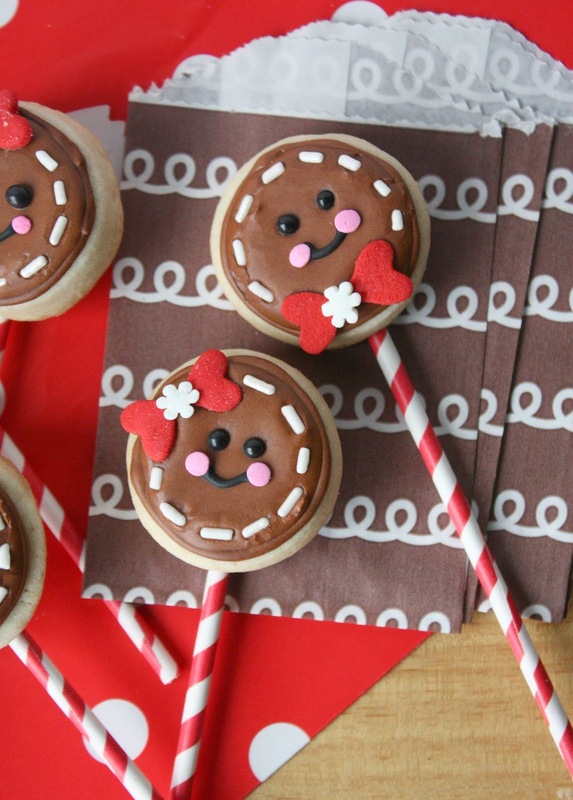 PS Also making these adorable cookies this weekend! Thanks!